← Tako-Tsubo cardiomyopathy- dying from a broken heart. 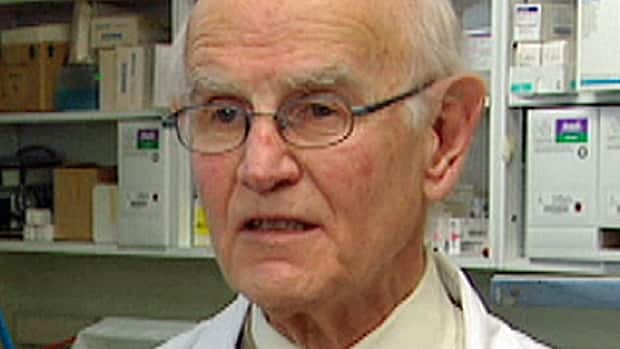 When concussed athletes visit Patrick Neary’s lab at the University of Regina, he asks them to hold their breath for 20 seconds while he measures the blood flow to their brains. He also gets them to hyperventilate. The strange drills are designed to help Dr. Neary learn more about the biology of concussions, including the changes in cerebral blood flow and heart rate that may be triggered by the brain injury. His goal is to come up with new techniques that will take the guess work out of diagnosing concussions, also known as mild traumatic brain injuries. Most concussions don’t show up on brain scans and symptoms sometimes don’t appear for a day or more. Concussed athletes have been known to hide the fact they have headaches or dizzy spells because they want to keep playing and don’t want to seem weak. Young children can have difficulty describing symptoms, which can include feeling confused or being sensitive to light or sound. But it is important to know if someone has sustained a concussion; if a second brain injury occurs before the first one has healed the result can be devastating and, in rare cases, deadly. Ultimately, Dr. Neary would like to develop new diagnostic techniques that a trainer or doctor could use in a dressing room and that would identify a concussion in a player like Pittsburgh Penguin star Sidney Crosby, who said he felt no symptoms after being blindsided in game on Jan. 1. Four days later, he was crushed against the glass by a Tampa Bay Lightning defenceman. He hasn’t played a game since. Concussions occur when there is rapid acceleration or deceleration of the head and the brain moves or rotates inside the skull. Researchers are beginning to piece together the cascade of chemical changes that result from this type of injury and how they affect the brain and body. So far, more than 30 concussed high school and varsity athletes have volunteered to help Dr. Neary study what is different about their brains. They usually arrive at his laboratory within a day or two of being injured. He measures blood flow to their brains with a transcranial Doppler, a form of ultrasound. The differences in cerebral blood flow between a concussed and a healthy brain are subtle and there is a wide range of natural variability between individuals. So, Dr. Neary devised two small challenges to help him identify signs of a concussion. He asks the athletes to hold their breath for 20 seconds, then to breathe normally for 40 seconds, and to repeat the exercise five times. In healthy individuals, this results in significant increase in blood flow to the brain, but not, it appears, in concussed athletes. In the second challenge, similar to the first, he asks them to hyperventilate for 20 seconds. This normally decreases the flow of blood to the brain, but the drop is more dramatic in concussed individuals. These are preliminary findings Dr. Neary cautions, and have not been published in a scientific journal. Blood flow in the brains of the concussed athletes usually returned to normal patterns within 7 to 10 days. Concussions can also alter the electrical activity of the brain. The National Research Council’s Ryan D’Arcy is working on a portable device that he hopes will be able to detect some of these differences. In particular, he wants to know how a concussed brain responds to different kinds of stimuli, including tones and verbal statements. If the device proves successful in detecting concussions, someone without any medical training could use it to help assess an athlete at a rink or soccer pitch, says Dr D’Arcy. Concussions may affect part of the brain involved in regulating heart rate. There is evidence that concussed athletes have a less variable heart rate, that it goes up less, even as their level of activity increases. Dr. Neary, whose work is funded by the Canadian Institutes of Health Research and the Saskatchewan Health Research Foundation, studies heart rate variability in concussed athletes, once they feel well enough to do moderate exercise. A third technique, a form of optical imaging, allows him to measure oxygen levels in their brains. He says he is close to combining all three approaches into a new way to diagnose concussions and to help determine when an athlete has recovered. “I would be interested in working with the National Hockey League, Canadian Football League and other professional and amateur teams,” he says. I’m always impressed how Canadian researchers are at the lead for trying to figure out what really happens inside the brain as a concussion occurs. What Dr Neary is doing with testing after a person has a concussion is essentially challenging the brain stem neuron zones the part of insertion of the vagal nerve getting people to hold their breath and hyperventilating is definitely getting a response from within this autonomic control zone as control response is challenged. In Dr Neary’s case he’s looking for blood flow changes within the brain as a result of either the breath holding or the hyperventilating. This is great work., cutting edge stuff. I’m now going to include some interview material also from the CBC with Dr Charles Tator. Dr. Charles Tator, concussion specialist, talks about the steps to full recovery. Kelly Crowe, health reporter for CBC, talks with Dr. Charles Tator, a concussion and brain injury expert at Toronto Western Hospital who advocates for stronger regulations around head shots in hockey. The interview is abridged. Crowe: What is going on in the brain in a concussion situation? Tator: Unfortunately we don’t know exactly what happens in the brain with a concussion. We think that maybe it’s a biochemical abnormality or an abnormality of the electro-physiology, for example it could be leakage from ions from some nerve cells, which interrupt transmission of impulses in the brain. In fact we don’t know exactly where in the brain concussions occur. In other words, is it at the front of the brain, is it the back of the brain, is it the brain stem? We think most likely the brain stem is involved and we think its more likely a jiggle of the brain, for lack of a better word, that it’s the movement of the brain, especially rotational movement. Crowe: Is the brain spinning around inside the skull? Tator: It doesn’t really spin around, but it does jiggle, it actually moves. Because the brain is covered in spinal fluid, it can move in that spinal fluid medium. It’s contained of course within the skull, and the brain actually moves within the skull. That’s why helmets, for example, do not prevent all concussions. The helmet is like another skull on top of the skull and virtually all the kids, for example that I see in my office, have been wearing helmets and they still get concussed. Crowe: Does the brain turn? Tator: A “turning” is the culprit in most people’s minds although it’s not known for sure. In other words it appears to be a rotatory movement or angular movement, rather than back and forth, or front to back, or side-to-side movement. Rotatory movement, for example, is when you get a punch and your head turns a little bit, or if you hit the ice and your head turns and just that head turning can produce that rotatory or angular acceleration that results in concussion. Crowe: But you don’t have to hit your head to get a concussion, is that right? Tator: You can get a concussion from a blow directly to the brain or a blow to any part of the body that causes the movement of the head. A whiplash type effect on the brain can cause a concussion. Crowe: Is it well known that you don’t have to get a hit to the head to cause a concussion? Tator: It comes as a surprise to a lot of people who come to my office for example and say you know I got, there was no bruise, there was no swelling, my head didn’t hurt, in fact, my neck hurt but then I had this nausea, vomiting, dizziness etc, all the other features of a concussion so that’s an example of where the body is impacted, and the head moves, even though the head receives no direct blow and they still get concussion. Crowe: How do you know if you have a concussion? Tator: It can be pretty difficult to tell. That’s why we want everybody to know about concussions. We want players to know, we want parents to know, we want to coaches to know so they can all suspect concussions when it occurs because it may be rather subtle. It may be a feeling of seeing stars, or people describe it as their bell rung, or a ding, or a little bit of confusion, or some nausea or a little dizziness, so they can be very subtle symptoms and it only is one of those symptoms. If you have any one of those symptoms that means you’ve had a concussion. You just have to have the nausea, you just have to have the dizziness, and that could still be a concussion. Crowe: Is it important to know if you’ve had a concussion? Tator: It’s very important to suspect that you’ve had a concussion because you should not go back into that game or practice, and you should be seen by a medical doctor. In other words we want all these people, coaches, players, parents to suspect that the person has had a concussion but it’s really the medical doctor who says yes that is a concussion. But once the diagnosis is made, the treatment for a concussion is different now than what it was even ten years ago because the treatment nowadays is to rest both cognitively and physically. So it’s not just a matter of stopping the physical activity, don’t do any jogging, don’t do any skating initially, but it’s cognitive rest which means you have to put your mind at rest, too. So kids shouldn’t go home and pour over their homework and do video games and complex stuff. They should really rest both physically and mentally. Crowe: Why do you need the mental rest? Tator: Well the mental rest appears to put the brain at rest. In other words, there is a recovery process that will set in if you let it set in. So you can get over a concussion, let’s say it’s your first concussion, you can get over it in a matter of minutes, or hours or a day or two, it can be very rapid in some people. In other people it can last for days or weeks or months. Of course if you’ve had multiple concussions then we see the effects lasting longer. It is very important to recognize that you’ve had a concussion so that it can be treated properly, so this rest can take place to allow the brain to recover. And we don’t really know for sure what is going on during that recovery phase, and that recovery phase can last a long time and there’s nothing that we know of that will make it more rapid. Players come to my office and hope that I’m going to give them an exercise, or prescribe a medication that will make them recover faster, and the only thing we have in terms of treatment is rest, physical and mental rest, and then a step-wise return to play. We now recommend a six-step process. The first step being complete rest, and the last step being return to full activity, but in between you have to go from one step to another, and we recommend at least a day in between each step. The other steps would be for example, fast walking, and maybe step four would be rapid skating or running, and then before you go to step five which is really drills with contact, in other words, practice with contact, that’s step five. Before you go to step five you really should be assessed again by a physician, and then step six is full return to play. The fastest that a player should return to play is about a week from the time of the concussion to the time of full return, but it could be a month or it could be a year, depending on each individual. Crowe: Why is it so important to recover between concussions? Tator: If you don’t recover between a concussion, if you do go back into play before you’ve fully recovered, then you could get what is called the second-impact syndrome, which means a second blow to the head before you’ve fully recovered from the first blow and if that happens, you can get terrible brain swelling, and a rise in pressure inside your head, and all of that can cause significant brain damage. Some of this is irreversible so we have to prevent that from happening and then long term, if you do get too many concussions, then there can be other serious side-effects and one of the most serious side-effects is loss of memory or dementia and we’re very keen to prevent that from happening. People need to follow proper return to play guidelines and also we have to advise some people never return to play, if they’ve had too many concussions and they are showing permanent after effects we advise never return. Crowe: How does the doctor know if you’ve recovered? Tator: No more dizziness, no more confusion, no more nausea etc. All symptoms have to go and that is the indication you are fully recovered. If you watch this particular video of a real brain wobbling like jello this is exactly the wrong perspective because all the supporting connections have been cut away, so there is no way you can have a rotation of the entire brain as it sits dissected outside of the skull. This gives a very false impression. Another missing detail, the entire brain is pulsing in sync with the cardiac cycle rhythmically getting its pulse motion from the cardiac cycle, remember one of my earlier posts about the beating brain squeezing around cerebral spinal fluid (CSF) in their ventricle spaces. The brain is always in motion, it’s a very dynamic tissue. Inside the brain are all these interconnected networks that make a current Apple computer in comparison simple. Don’t forget the brain is also dynamic, it is not hard wired it is plastic, the brain’s inner local shapes are changing all the time. Imagine if Dr Tator had a dissected human heart and said, “see how it shakes.” Such a display would not reveal anything about the blood pumping motion that the heart does for every single beat, correct? So just absorb some very strong work by a couple of diligent Canadian researchers, Drs Tator and Neary, now let’s hope our little Montreal group can add some genuine knowledge too about concussions!